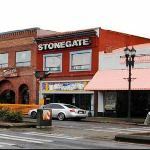 South Tacoma is a historic shopping area that has been serving Tacoma’s needs for generations. You can find almost any type of merchandise or service along South Tacoma Way from South 47th to South 57th streets, including printing, home security, dance lessons and family restaurants. This district is regionally famous for its auto row and specialty automotive shops. Pay homage to the car with the annual South Tacoma Classic Car Show in August.